In Woodfin, North Carolina, police recently took the time to reach out to the public on the issue of videotaping police. It’s a great example of how agencies can harness the power of social media platforms to educate the public. This issue seems to be more prevalent in our society lately and we want to address a few points regarding videotaping law enforcement interactions so that it may be done safely. 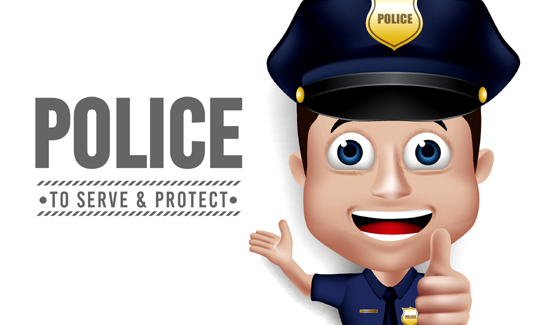 The Woodfin Police Department recognizes and respects that people in a public place have the right to video record interactions with law enforcement. We have no objection to the lawful video recording of our officers and, in fact, we are likely recording interactions ourselves. However, there are times when those who are video recording are overstepping their bounds and we wanted to clarify a few points so that everyone may exercise their rights safely. – If an officer gives you a lawful order to back away from a scene or incident, you must do so. This does not mean you must stop recording but having the right to videotape does not preclude our officer’s safety or require us to jeopardize crime scene integrity or investigations. – If an officer gives a lawful order to back up from an incident or to not enter a certain area, they may not have the luxury of time to explain their reasons at that moment, especially if there is a risk to public safety. If there is a question, once a situation is resolved or under control, we will make every reasonable effort to address any concerns. – While you have the right to video record, you do not have the right to interfere with an officer in the performance of their official duties. If your actions delay or obstruct an officer in the performance of their duties, you could be subject to arrest (§ 14-223. Resisting officers: If any person shall willfully and unlawfully resist, delay or obstruct a public officer in discharging or attempting to discharge a duty of his office, he shall be guilty of a Class 2 misdemeanor). – If you have recorded an event and an officer determines that there is a fair probability that your recording or video has captured evidence of a crime, your recording and/or the device used could be subject to seizure or a search warrant to recover that evidence under North Carolina statutes. If you feel you have a grievance or complaint about the way a situation was handled you should contact the Woodfin Police Department to file a complaint. Arguing with police or resisting lawful commands on a scene are never productive ways to resolve an issue. We respect everyone’s rights and strive to perform our duties in the safest manner possible, for the public we serve as well as for our officers. If you have any questions about this or any other issue, please feel free to contact the Woodfin Police Department, and we will do our best to address your questions or concerns.